As a parent, I'm terrified at the thought of my kids driving. We're still at least seven years away from that, but it's still something I think about almost daily. It's becoming all too common to hear horror stories of how someone lost of loved one due to things like using email, texting, or other cell phone usage while driving. 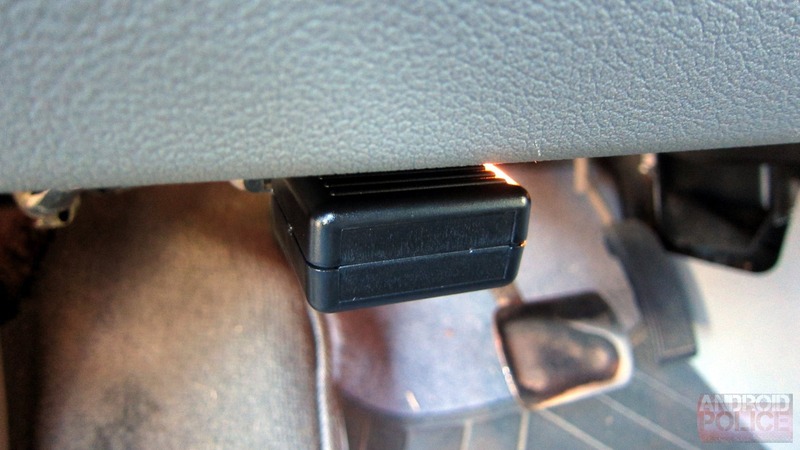 I'm hoping there's a better solution than we have now before my babies get behind the wheel, but for those who are going through that very thing right now, Scosche has a solution. Not just any solution, either - one that should actually work. 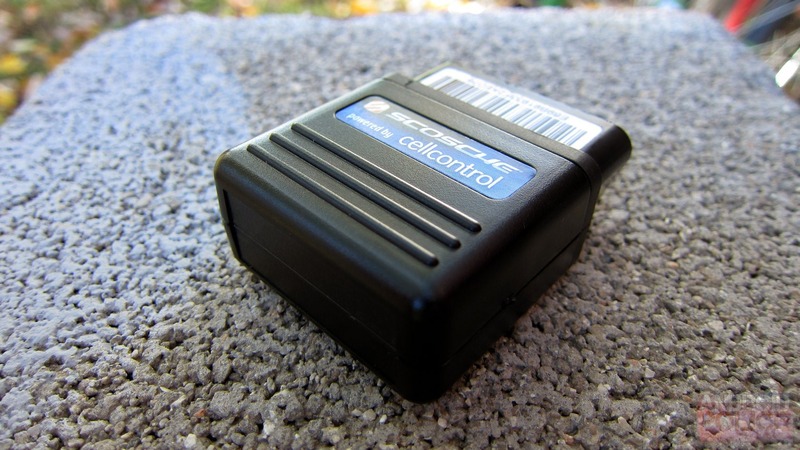 It's called CellControl ($129 - Scosche, Amazon), and it's a small device that attaches to the vehicle's OBD (on-board diagnostics) port. 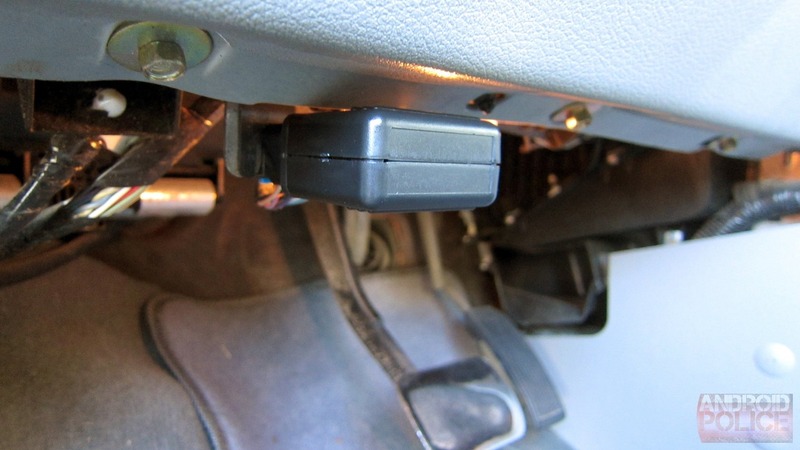 All vehicles manufactured after 1996 have this port, so if your car was made in the last couple of decades, it'll work. 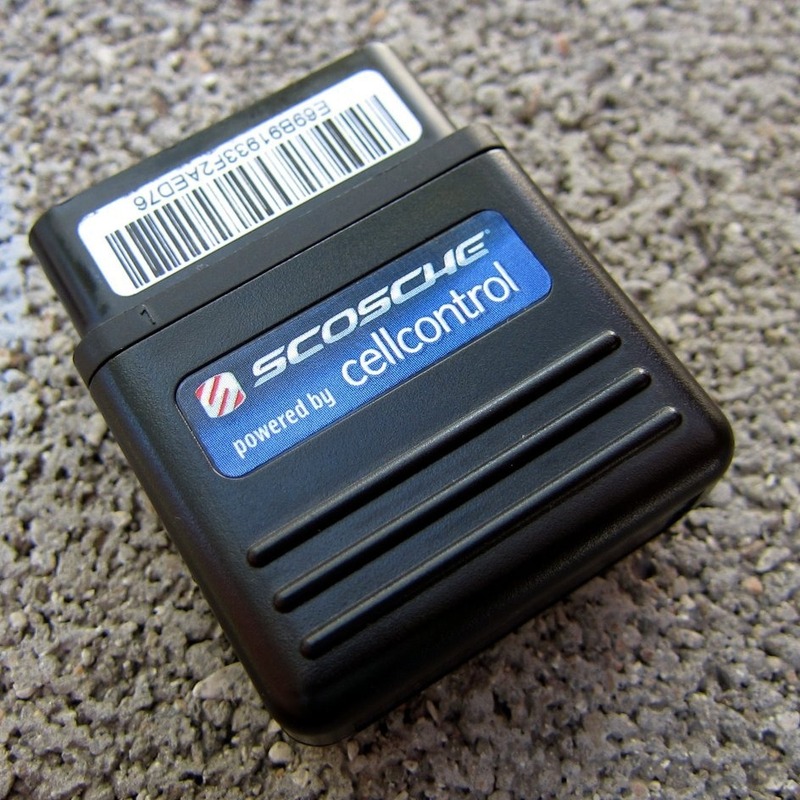 It's actually really simple little gadget: after cracking open the package, you activate it on Scosche's website, connect it to the car's OBD port, and then install/launch the companion app. The rest is pretty much seamless. Note that the order in which you do the above is important. If the app is launched before the device is installed, it won't work (it didn't for me at least). 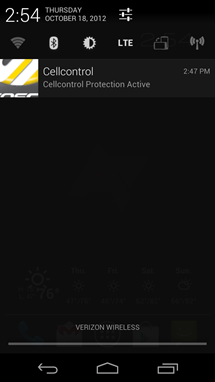 During the activation process, you have to create an account with Scosche, which includes setting up a username and password, verifying an administrator email address, and entering the phone number for the device that CellControl should monitor. From there, everything is on autopilot: CellControl will block the use of everything aside from the phone app, locally stored music, and Navigation. In order to gain more control and further specify allowed apps, get support for additional handsets, and info about bad driving habits, you'll have to shell out $5 a month. 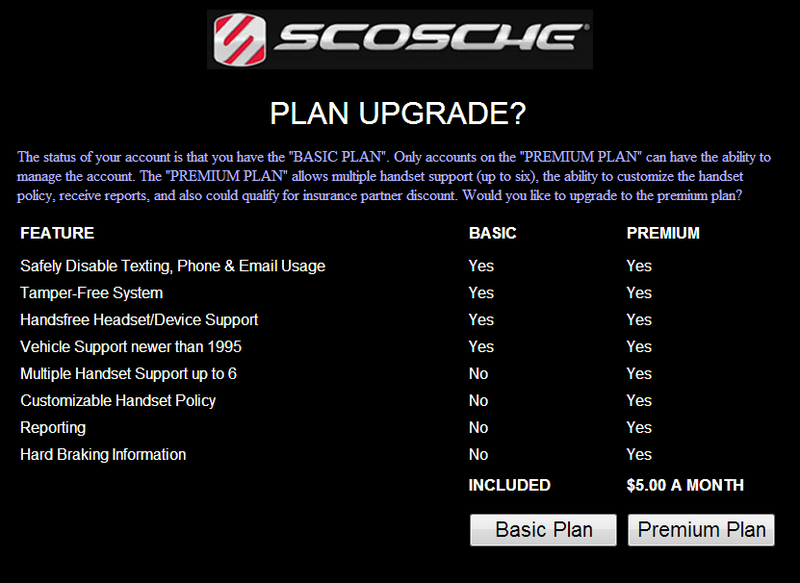 I think this move is rather shady given the fact that Scosche omits this bit of info from its website and the unit itself already costs a somewhat pricey $129. Still, the default (free) settings seem to work as advertised. In fact, they work really well. Once the device is installed (a stupid-simple process) and the CellControl app is launched, it immediately goes to work - no pairing needed! 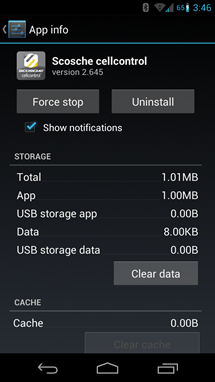 Heck, you don't even have to enable Bluetooth - the app does it for you. 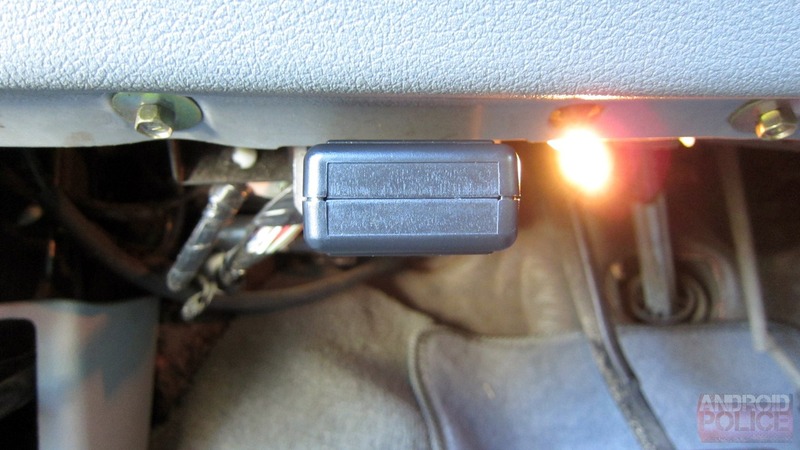 As soon as the vehicle starts moving, the device sends the signal to the smartphone and begins blocking all apps. So what's to stop your clever teen from disabling Bluetooth? Nothing. Except the app will immediately turn it back on. 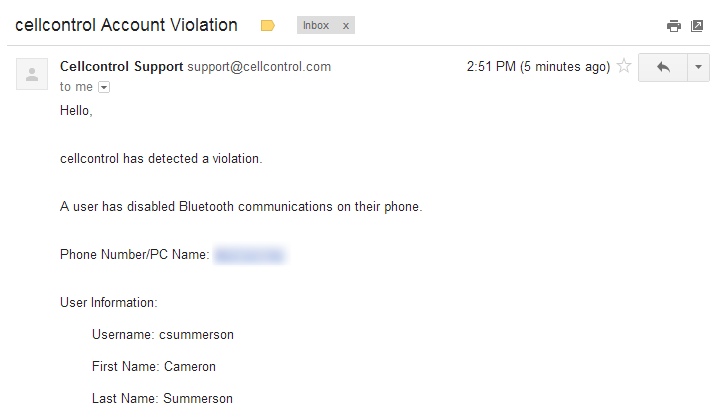 Not only that, though, it will also send you, the administrator, an email to let you know that Bluetooth was disabled. How cool is that? Within seconds of the "violation," you'll know about it. 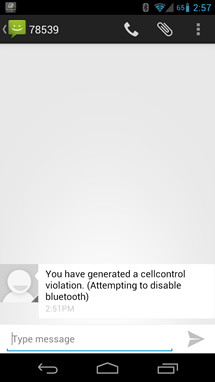 It also sends a text message to the phone to let the user know that they have "generated a CellControl violation." Kind of superfluous considering the SMS app should be blocked, but they'll see it eventually. 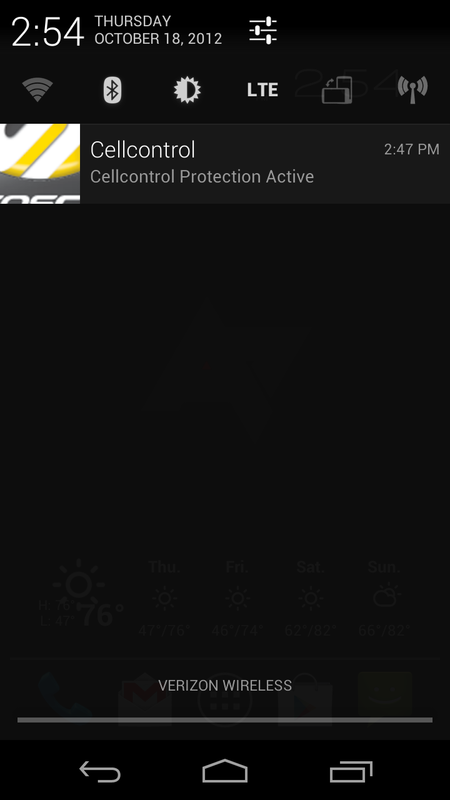 Of course, there is a way to outsmart the CellControl app, which creates a static notification: kill the app. If your teen is the tinkerin' type, they can jump right into the Settings > Apps menu and simply force stop the app. 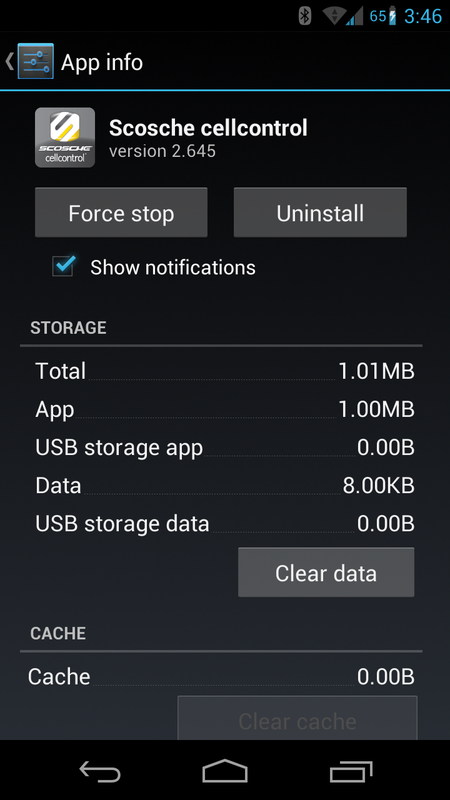 It won't work again until it's manually started from the app tray. Overall, I have to say I'm pretty impressed with not only how easy this little gadget is to use, but how well it works. It's not going replace teaching your child good driving habits, but it's definitely a nice way to keep them from doing some of the things they shouldn't be while behind the wheel. Yes, I did have to play with my phone quite a bit while driving in order to test this device. Thanks for noticing!